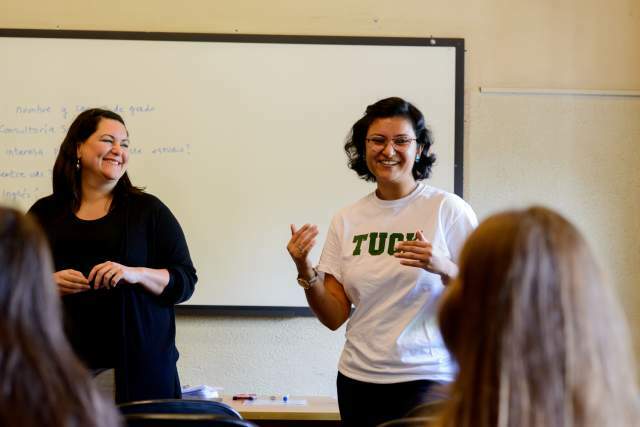 Two Tuck students completed an independent study on leadership in the private and public sectors, interviewing 12 high-level leaders along the way. 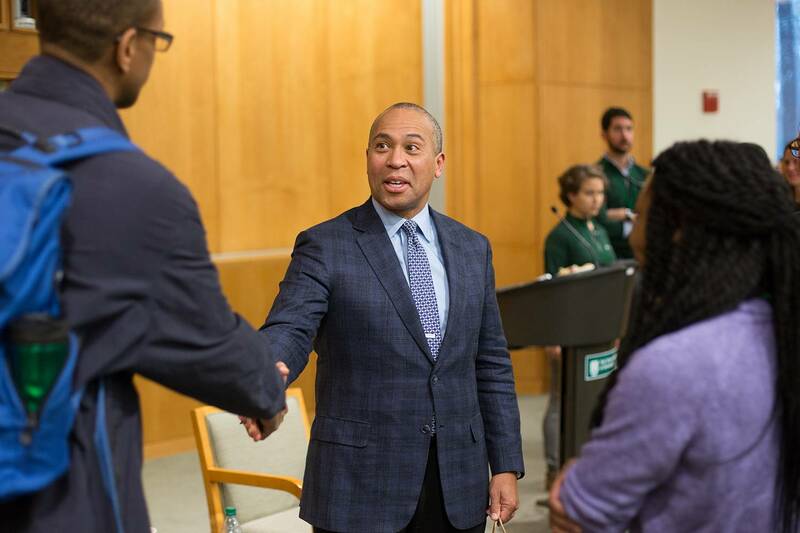 Through interviews with leaders such as Deval Patrick, students compiled a list of five leadership traits to predict success. 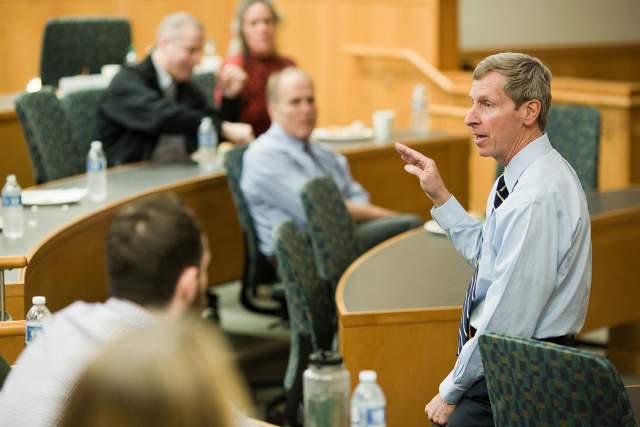 In his popular Tuck elective course The CEO Experience, former New Hampshire Governor John Lynch asks students to think deeply about the similarities and differences between executives in business and government. It’s interesting because contrary to conventional wisdom, we learn that leadership qualities in the public and private sectors are pretty much the same. When Lynch wanted to hear more perspectives on this phenomenon, he turned to Tuck students Siobhan Galligan T’18 and Hope Stege T’18. They took his CEO Experience course last year, and this year worked with Lynch on a case study called “Mixing Business and Politics: What it takes to lead across sectors.” Through interviews with a dozen leaders with private and public sector experience—such as Deval Patrick, John Hickenlooper, Tim Geithner, Gina Raimondo, and Evan Bayh—the students compiled a list of five leadership traits that predict success in both environments. Create a vision for where they want to go, and work to mobilize people around it. Build strong teams and leverage them. Build and maintain strong relationships through transparency, communication, and trust. Have a strong moral compass and use principles to guide their actions. Plan for problems and take the blame when they arise. It’s not just about ideas anymore, it’s about putting them into action. What they gleaned was stories about moments when the leaders felt challenged by their circumstances, and how those challenges inform their thinking about leadership. Deval Patrick, for example, talked about his experience leading a task force at Texaco that implemented a settlement of a race discrimination class action lawsuit, and how, as governor of Massachusetts, he managed the overwhelming offers for help after the Boston Marathon bombing. “These types of stories really helped us get at what drives people in these roles,” Stege said. Former NH governor John Lynch, a clinical professor at Tuck, was honored with the 2017 UNH Pettee Medal.